Time is flying by at record speed. 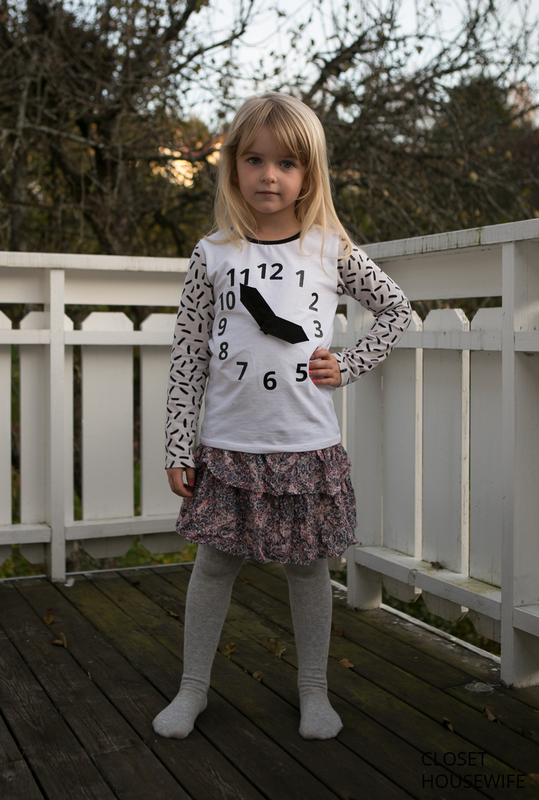 They say your clock is ticking before getting kids but now after getting them it has really gone haywire rotating its clock hands at the speed of helicopter wings. Yet another year has gone by, I have failed yet another set of resolutions, and I have yet again not been able to do half the things I wanted to. 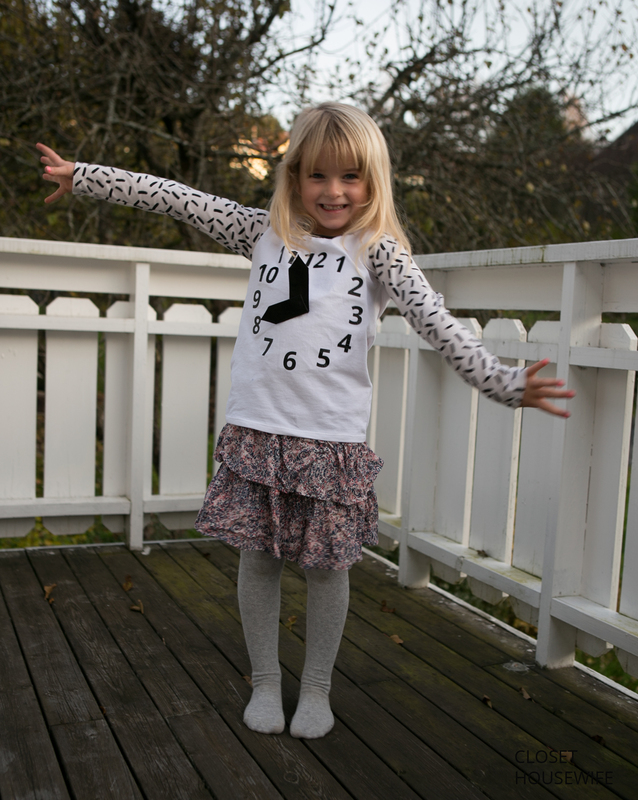 This blog post has taken me two months to write and my estimate is that the kids Christmas clothes will get blogged about around Easter time. Pity as I really wanted to do one of those “best of” summaries I see all the sewing bloggers doing. This is probably the last year in a very long time where I am actually able to sew more than couple of pieces of clothing. Yeah, I have already started working again and life is about to get really hectic as my partner just finished his paternity leave. The last month of my maternity leave I spent frantically cuddling my little boy and sewing a clock sweater the few minutes he actually slept. 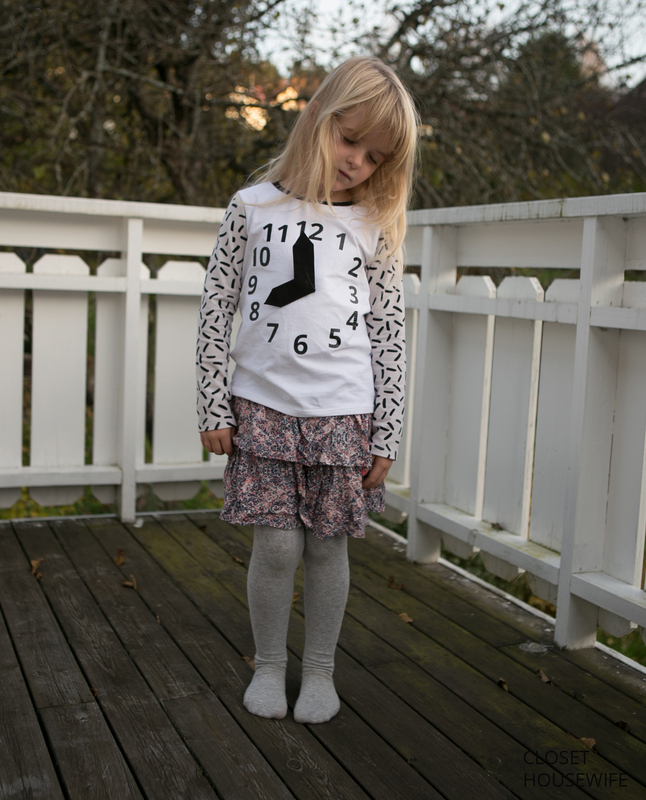 A bit ironic that making a clock sweater was a race against time but for some strange reason I felt I had to get it done. 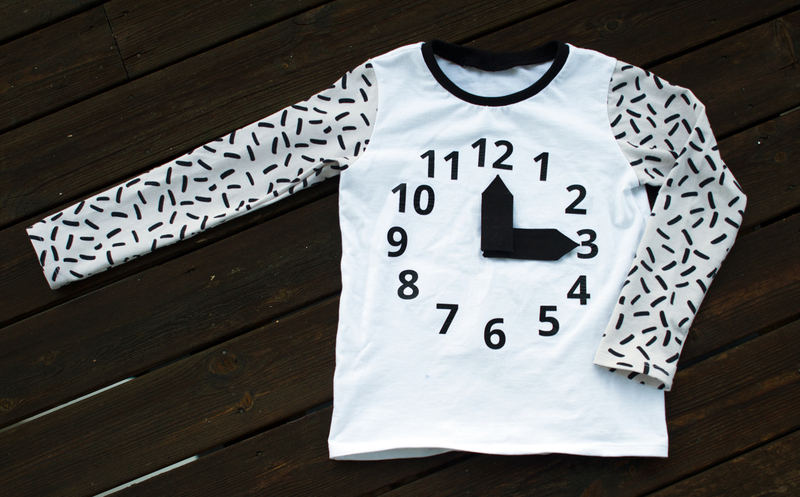 You might ask why anyone would want to make a clock sweater when they could be using their precious time on about hundred other things? Been asking myself the same thing. Truth be told I get quite a few of these strange ideas. Mostly I never get around executing them. This idea however kept nagging me and I simply wasn’t able to file it away together with my other bad ideas. It felt a bit more educational than some of the other stuff I have a come up with. Educational must equal smart, right? 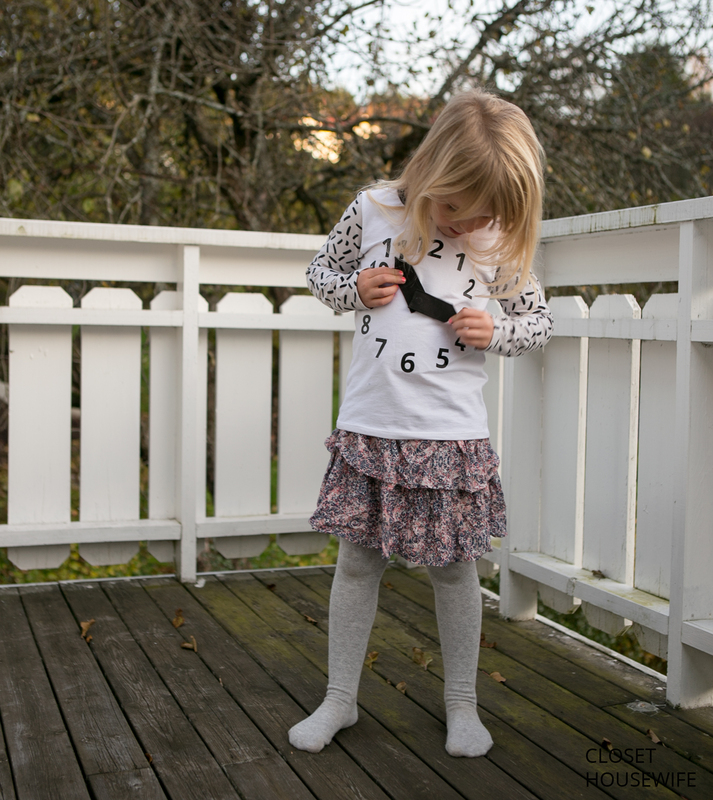 Making a sweater with moving clock hands wasn’t quite as straightforward as I had hoped. At least if you wanted to avoid it becoming a giant Velcro cactus. I can’t say I nailed it either but it somewhat works at least when my daughter stands still. Which is rarely but that is another story. The clock hands have a tendency to stick out at weird angles but as they are somewhat soft there should be no danger of injury. 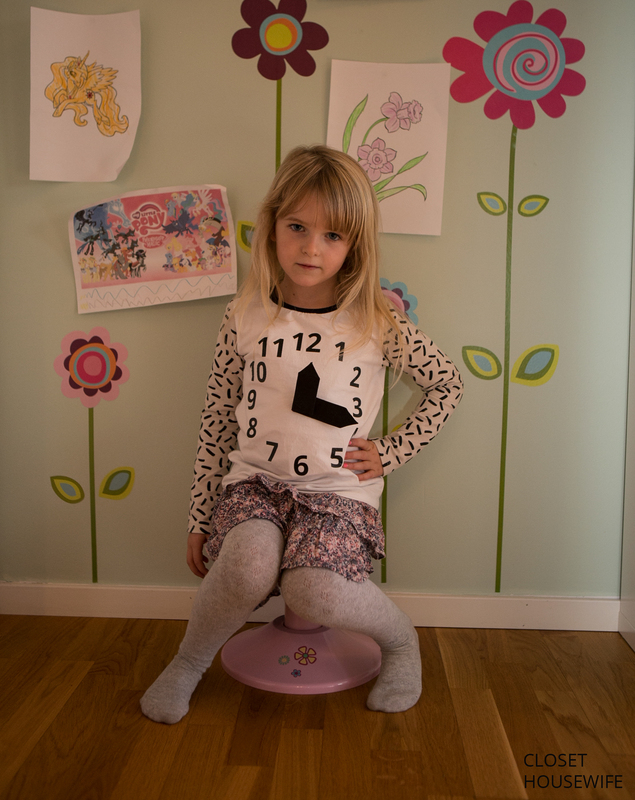 I used the Rowan tee pattern again. Great pattern. The clock numbers are heat transfer. The Paapii Sprinkles jersey I bought at Olivias. I felt the sprinkles looked a bit like clock hands. The white jersey I bought at Kjekk og Søt. 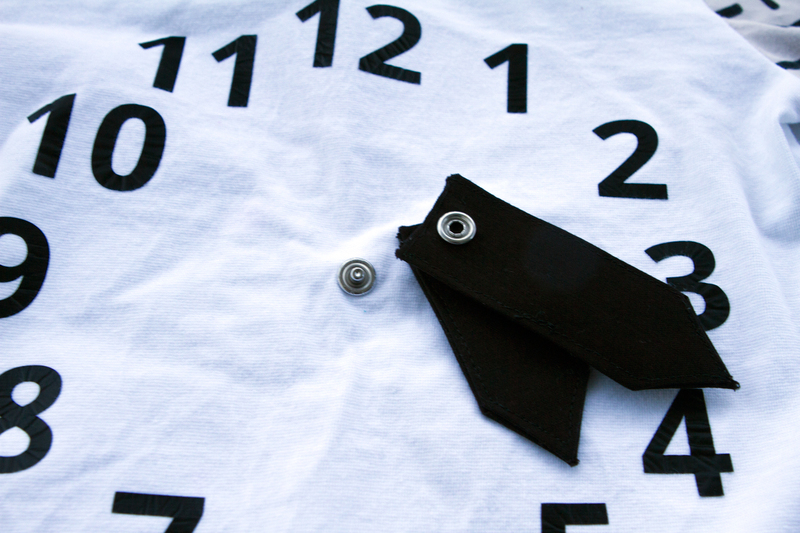 The clock hands are made out of black cotton, heavy fusible interfacing and attached with snaps so you can rotate them. I had to pinch the snap holders a bit to make them stiff enough to hold the clock hands in place. I also put a thinner fusible interfacing on the back of the clock to try to stiffen that area a bit. The biggest problem is that it gets a bit bulky on the front with all the snaps and I can imagine they they might potentially get lost as you can take them off. Anyways, both the sweater and the blog eventually got finished. Right in time for wishing everyone a Happy New Year!